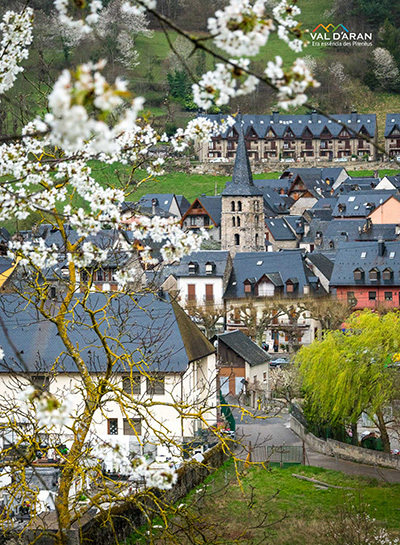 Val d’Aran offers the possibility of enjoying a cultural Holy Week with visits to the villages of the valley, each with its own church. Some of them are real treasures, both for their architectural quality and for the paintings or sculptures that we find in their interior, an artistic legacy of great variety and exceptional wealth. This year it is also worth taking advantage of the last days of the temporary exhibition “ARAN ME FECIT, De los maestros constructores en busca del patrimonio sacro” (ARAN ME FECIT, Of the master builders in search of sacred heritage). It is also advisable to visit the Val d’Aran Museum and the Musèu dera Nhèu, a unique theme centre in Europe. During Easter Week, the Pyrenades Festival is held in the valley. Pyrenees days offer a full programme of walks, conferences, screenings, music and exhibitions for everyone. The followers of the traditions cannot miss the Holy Week in Bossòst with the Procession of the Via Crucis on Good Friday morning and the Procession of the Holy Burial on the evening and the Procession of the Holy Encounter on Sunday at noon.